My best friend recently moved back to the Eastlake neighborhood. We have both lived in the neighborhood years before and have always loved the area, so I was very happy when he moved back. We decided to walk on over to Cicchetti, Serafina's sister restaurant. It is located directly behind Serafina. 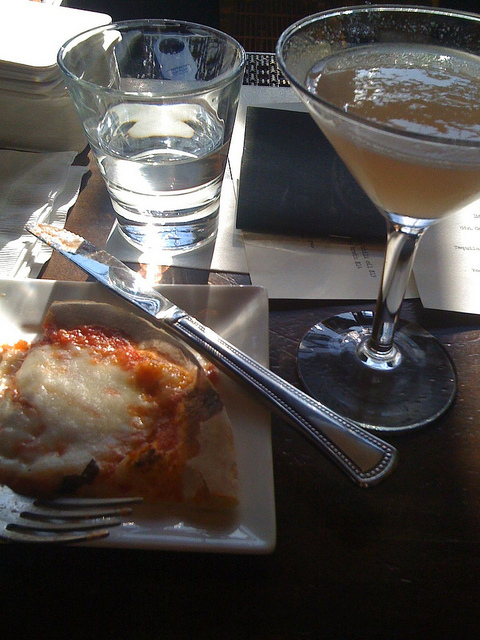 Cicchetti is a perfect addition to the Eastlake neighborhood. Cicchetti has great outdoor seating. On this visit, we sat at the bar. The bar is great. 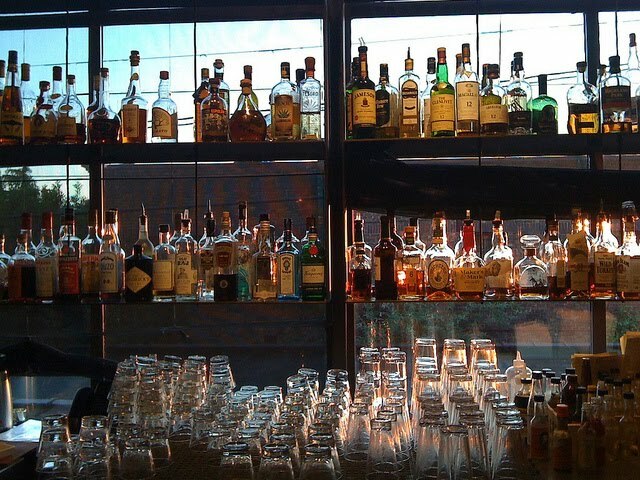 All the liquor bottles are shelved up against large windows that face West, so as the sun is setting all the bottles glow in the sunlight. We arrived just in time for Happy Hour (5pm - 6:30pm). Cicchetti has a great Happy Hour menu with $5 specialty drinks. 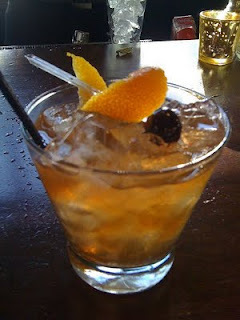 One of the drinks I tried is called "The Rumbler". It is a refreshing rum based drink. Next we ordered some small plates. We started with the Truffle oil popcorn for only $1. 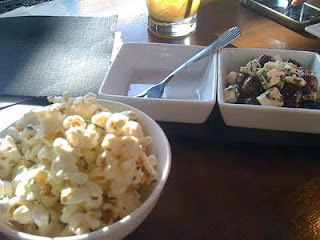 I love popcorn and I love Truffle oil, so this was a match made in heaven. I could have easily eaten a jumbo-sized bucket of this stuff. We also tried the Kalamata olives with feta. These were also very tasty. Next we tried the Margherita Pizza, which is only $5 during Happy Hour. The pizza was delicious. It is cooked in their wood fire oven. The crust was perfect! 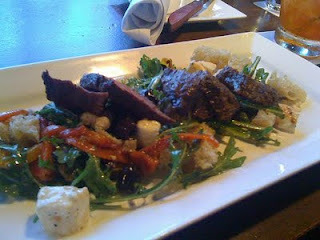 Lastly, we had our main course of Hanger Steak. The steak was tender and juicy, and served on a light salad. I highly recommend! Overall, I love this place! Right off the bat, our Server was very friendly. Our Bartender was great. He made great drinks and always made sure we were happy with our food and drinks. The rest of the staff at Cicchetti was just as friendly. The place has a very laid-back vibe about it. 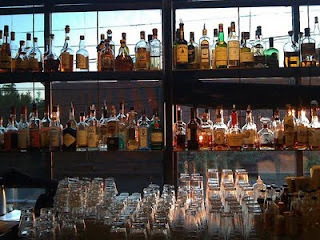 Cicchetti is a perfect neighborhood restaurant/bar. I can't wait for my next visit to Cicchetti!